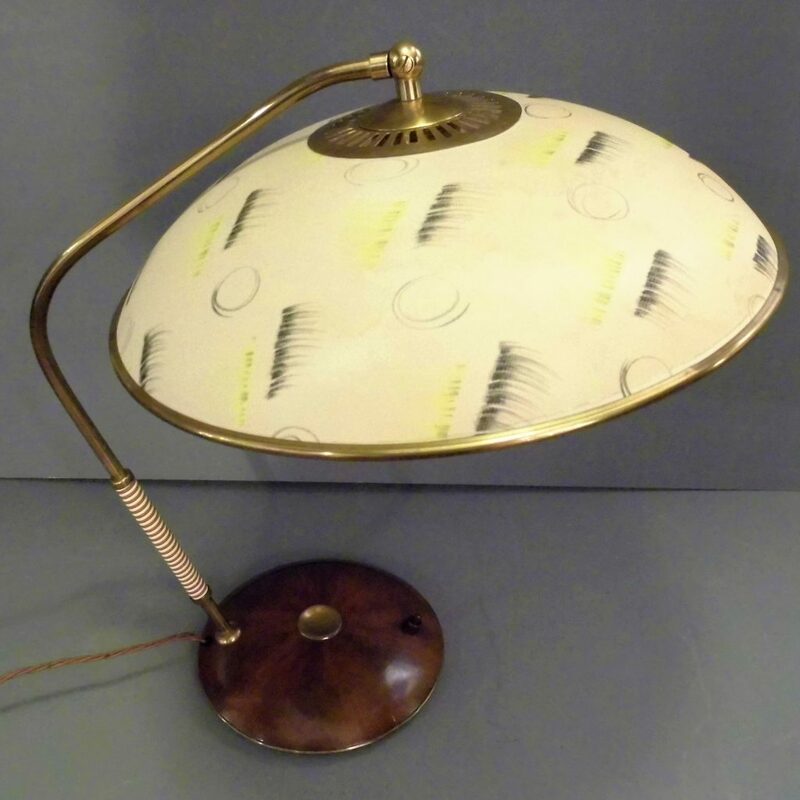 A very chic 1950s Desk Lamp with original printed shade and walnut base. 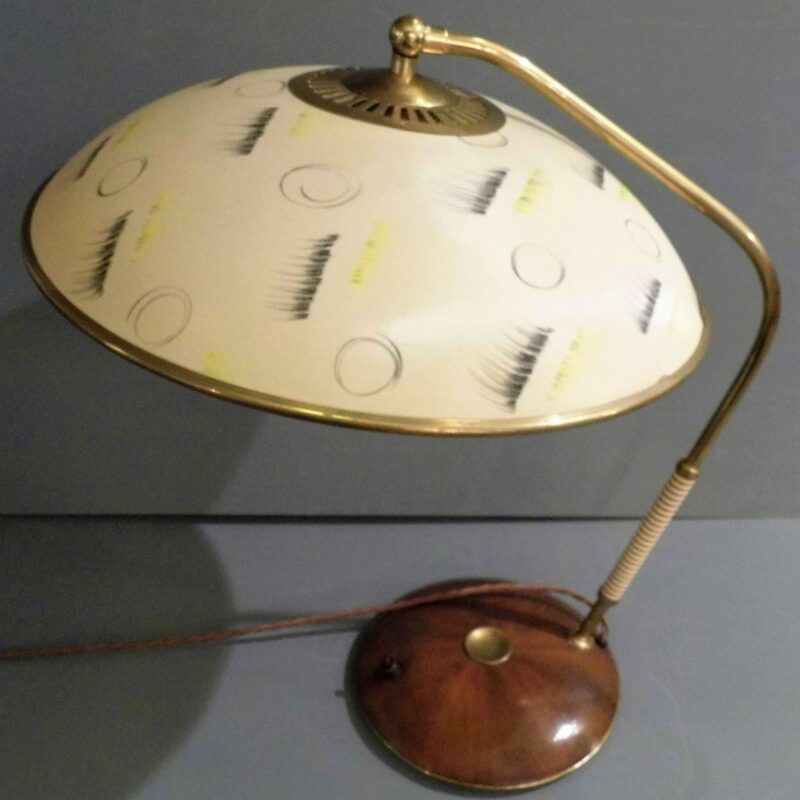 This lamp has fantastic Mid Century styling and is very well made. The acrylic printed shade connects to the brass arm and can be adjusted for angle. the solid walnut base has a push button switch. 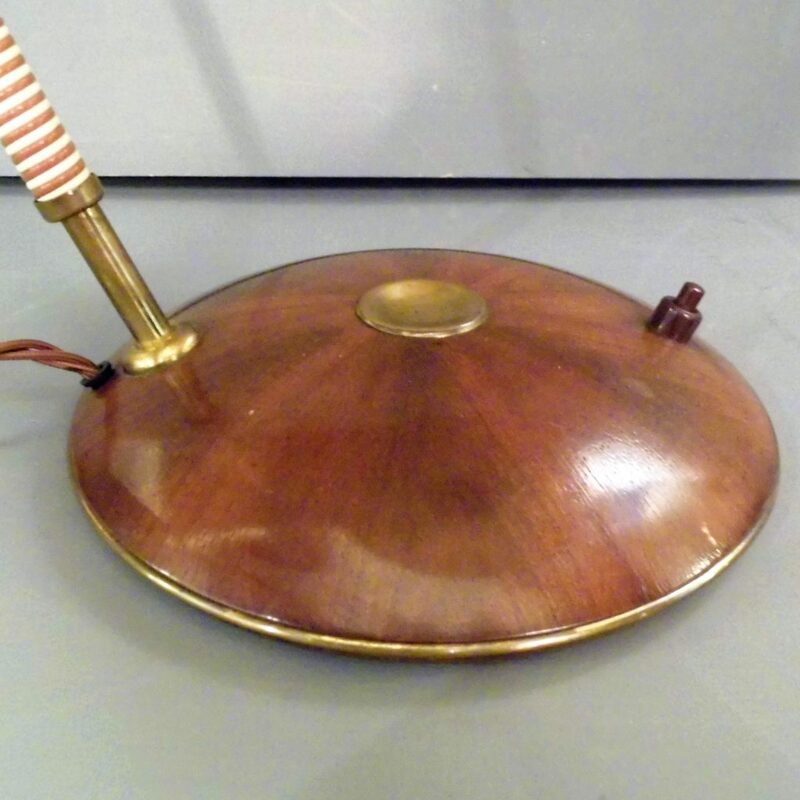 This lamp is in very good original condition and has bee rewired for UK use with 3 core gold braided cable and a UK plug. It measures cm high with a shade diameter of cm .